The church needs and desires a unified vision for pastoral education that encompasses the aspects of pre-seminary education (a more consistently prepared entering student), seminary education (coordination, cooperation, and collaboration of the two seminaries), and post-seminary continuing education (life-long learning) for pastors. The following Themes for Pastoral Education were developed by the former Board for Pastoral Education, and they provide a planning and guiding focus for preparation of pastors for The Lutheran Church—Missouri Synod. They are listed without priority. The church needs pastors who are grounded in the Holy Scriptures, rooted in the Lutheran confessions, formed by the history of the church, and able to apply the Word of God to the lives of people for their salvation and for his own, to the glory of God. Pastors must be able to teach and preach the truth of the faith in Christ with unambiguous clarity and precision. They must be prepared to lead in worship centered in Word and Sacraments. The church wants pastors who communicate effectively, reaching the heart and mind with the Word. Competent faculty must engage students to be preachers and teachers of the Gospel.Students coming to the seminary need to be ready academically for seminary education through a broad baccalaureate preparation, and students going from the seminary need to engage in continuing education. Experiential education at the seminary must integrate strong theology and effective pastoral practice. The church needs pastors who are competent leaders in pastoral ministry. They must be able to integrate strong theology and pastoral practice. With a deep faith in God, a compassionate heart for people, and a gentle and peace-loving spirit they are to serve the saved and the lost by applying the Word of God to people’s spiritual needs in diverse situations. As called servants of the Word, they must be able to establish helpful interpersonal relationships, be people-oriented and work effectively with them, be forgiving and caring. They must be able to prepare people (through preaching, teaching, worship, and learned practical skills) for their service to God and the church (e.g., Christian Day School, youth, evangelism, stewardship, music, Sunday School, etc.). They must be resourceful leaders to help congregations address the changing contexts of service as a community of faith. A supportive family and a cooperative spirit with fellow pastors in the church bring concord and strength to the pastor and congregation. Through practice, reflection, evaluation, and lifelong education pastors must continue to grow and maintain competency for the office. The church seeks men whose faith in Jesus Christ is nourished regularly by the Word and sacraments in public worship and by a disciplined devotional life. The home, congregations, pastors, and the church’s schools all help to form a pastoral character in candidates – ones who pray, believe, and confess Christ and the cross – and to shape attitudes that lead them to see people as God’s precious ones. The church needs pastors who are prepared to proclaim the good news of Jesus Christ. They are instruments of the Holy Spirit to bring the lost to Christ and Christ to the believer. Pastors need to have a deep passion for Christ and His mission. Called to be witnesses to Jesus and His work, pastors must actively engage themselves in outreach and effectively outfit people to tell others about Jesus. Christians are to testify to their faith in Jesus Christ with those who have never heard of Him, have not believed in Him, and are away from the means of grace in His Church. Every congregation is a mission station for the Christian message and needs a pastor to lead in the development of mission outreach. The church looks to its pastors to know the Holy Scriptures well, to be confidently Lutheran, and to apply the Word of God to contemporary contexts and culture. Pastors need to understand the culture and where it is headed, engaging societal issues theologically. Pastors must be prepared to give a defense to the truths of the Christian faith against competing spiritual claims and movements of world religions and secular beliefs. They must be sensitive to their culture and able effectively to serve peoples with a vast diversity of origins, education, family customs, social structures, and political values. The church needs pastors from different cultures to serve in the pastoral ministry. The church wants pastoral education undertaken in an environment of prayer and care, with worship at the center, and with the proper integration of biblical theology and pastoral practice. Pastoral education is a learning-living preparation where one is taught to think theologically and to focus on a few foundational aspects more deeply (reading basic texts, great books, and writing theological papers). Pastoral education also engages persons in rich practical experiences relevant to pastoral ministry. Students in preparation for the pastoral ministry also must come to understand themselves and learn to evaluate and improve themselves, become adept at asking the right questions, and live in a spirit of trust with others. The church wants pastors who are prepared to motivate and stimulate, prepare and engage the baptized in their lives of service and vocation. People want to be led to integrate their faith and life. They want pastors to encourage them, counsel them, mentor them, and teach them to live meaningful lives of service. They want intellectually to explore their faith and theologically to reflect on their service to church and world. They are in the mission field daily, and they want to relate their faith to their daily service in family, church, work, and world. The church needs pastors to lead and manage the congregation to accomplish its mission and purpose. They are to have a working knowledge of financial planning and administration to maintain the fiscal health of the congregation. They must be prepared to address stewardship responsibilities in a loving and realistic manner. Pastors must be able to work in team ministry and manage conflict in congregational life. They must be prepared to manage themselves — personally, spiritually, and emotionally — and be ready for the daily routines of the pastoral ministry. Working hand-in-hand with members who have skills and gifts in various areas, the congregation is enabled to carry out its primary mission of saving souls. The church needs faculty members who are committed to the mission of the church, maintain academic excellence, testify to their faith, relate theology to pastoral practice, make alive the Lutheran heritage, and show appreciation for the practice of pastoral ministry. The church encourages faculty to read, write and study to be faithful mentors to pastoral ministry students. Faculty needs to aid students in the practical transition to parish ministry. For the sake of the vitality of Lutheran pastoral education and the contribution it makes to the congregations, the church wants faculty with substantial pastoral experience. The church needs pastors, congregations, universities/colleges, and seminaries to transmit Lutheran theology to the next generations. They must relay the strong Lutheran heritage to the next group of leaders (through instruction in Lutheran confessional teachings, means of grace centered worship, biblical preaching, advanced study, writing and publication). The church needs to provide graduate programs (offering masters and doctoral studies) in pastoral education. The church needs to support strongly its centers of theological scholarship. The church must put in place a disciplined pattern for life-long learning among its pastors (to reflect upon pastoral practice, develop pastoral skills, learn pastoral response to contemporary issues and problems, and to transition to different ministry contexts). 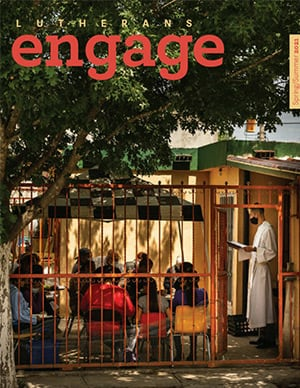 The church needs pastoral education brought to candidates as diverse as its membership and mission–young and old, single and married, no debt and heavy debt, no college and advanced degrees, novice Christians and life-long Lutherans, confined to one place and highly mobile, dominant culture and ethnic community, rich and poor. The church needs to provide options for pastoral education to these candidates, evaluating routes to pastoral ministry, discerning proper pedagogical approaches, utilizing distance education, incorporating useful technology, training mentors/life coaches, and engaging in continuous curricular review. The church needs pastoral candidates to serve communities that cannot maintain a regular called pastor. There is a growing demand for different approaches to pastoral education that offer adaptability, portability, and accessibility. The church needs to recognize that pastoral education is an international endeavor. The church’s mission puts pastors and church members in direct contact with world religions and Christian communities different from our own. Pastors and people need to learn to work and converse with these people. Pastoral education needs to provide students understanding and models for conversation and cooperation among Christians and differing traditions. There needs to be identification and enlistment of international students and faculty in order to learn from them and to engage them in confessional Lutheran theology. 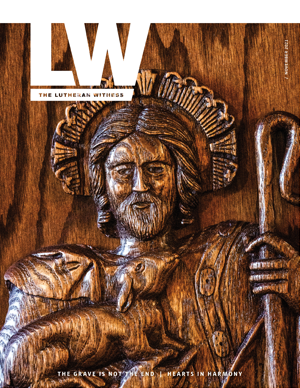 As the center of Christianity shifts more and more to the southern hemisphere, confessional Lutheranism around the globe needs to relate to global theological matters in its teaching and life as church.